Shoptech is excited to exhibit at AeroDef 2018, a conference for the aerospace and defense manufacturing industries. As you take the time to learn new technologies and processes, don’t forget about the overall productivity of your shop. We will be at booth 658 to answer questions about how to find and get rid of inefficiency in your shop. Following a job from quoting through shipping can make a huge difference in making decisions about how your shop functions, and our goal is to help you make those decisions. Our software is helping over 8,000 shops across North America and we would love to help yours. We will have two products to show: E2 SHOP and E2 MFG. E2 SHOP is aimed at job shops and make-to-order manufacturers. The E2 MFG system is aimed at repetitive and discrete manufacturers needing a more powerful ERP system to handle complex multi-level bill of materials, sales orders, and much more. Our representatives at booth 658 will be happy to talk to you and discover which software would be the best fit for you. The AeroDef conference runs from March 26th-29th and the exhibits run from March 27th-28th. 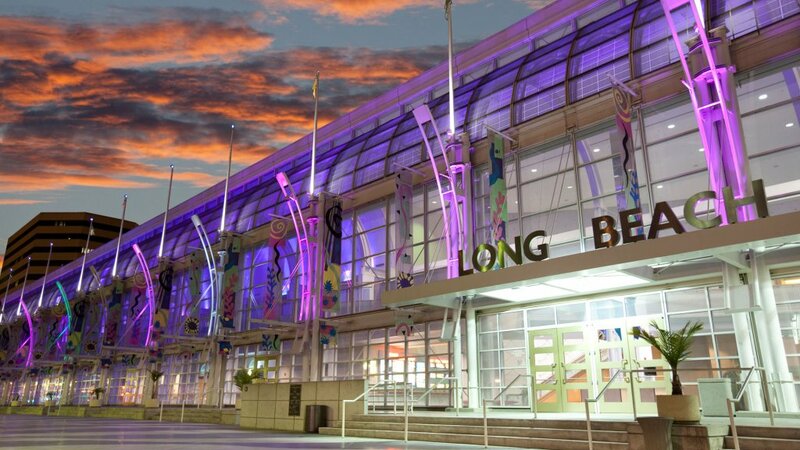 The conference will be held at the Long Beach Convention Center in Long Beach, CA. This year’s keynote presentation will be given by Christopher B Cool, retired from Northrop Grumman Aerospace Systems as a Sector VP. There are also several promising panel discussions as well as a slew of other events ranging from a virtual career fair, to technology exhibits, to a mixed reality solution center. As AeroDef says, “It’s the one event that brings together high-concept, integrated solutions and real-world applications.” Putting these all in one place is a win for everyone.